Easy reading with Dav Pilkey: that’ll make you merry. Sweeter than sherbet. A festive delight. Are you starting to read alone? This winter warmer by the Captain Underpants genius will make you smile deep inside. See this small dragon skipping along? He’s a merry little creature who loves Christmas. 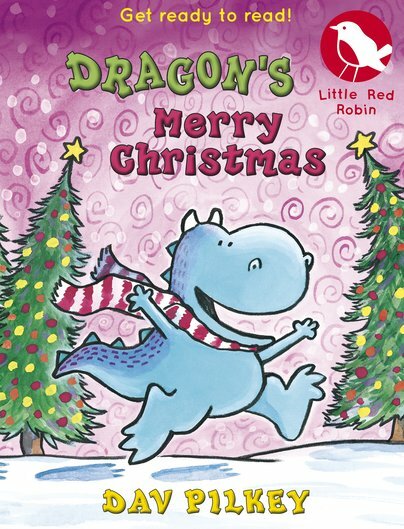 Every year, Dragon chooses the perfect tree and buys the perfect presents. Thing is: Dragon can’t bring himself to cut down the tree he picked. And he gives all his gifts away to folk in need. Does that make him sad? Does he look sad? Nope. He’s the happiest dragon in town.